Computer science students will be temporarily relocated to the TBSI, as the PC huts make way for Trinity's flagship E3 Institute. The demolition of Trinity’s PC huts, on the east end of campus, will result in the temporary relocation of some computer science students to the Trinity Biomedical Sciences Institute (TBSI), The University Times has learned. In an email statement to The University Times, the College Bursar Veronica Campbell confirmed that the move will be “on a temporary basis and then that activity will move into the E3 Learning Foundry”. 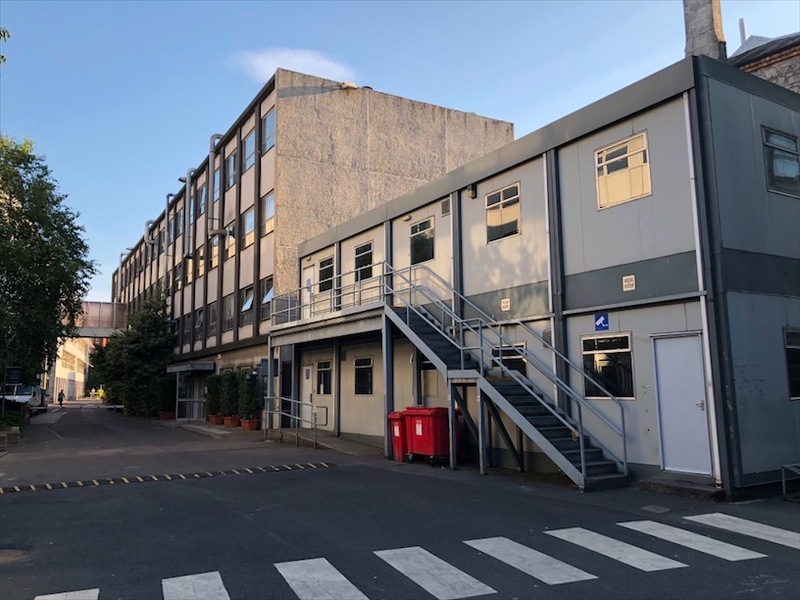 The University Times reported last month that the old biochemistry building and Robert’s Laboratory are also set for demolition, to make way for College’s landmark Engineering, Energy and Emerging Technologies (E3) Institute. It is hoped that the E3 building, which received the country’s largest-ever philanthropic donation in May when Martin Naughton donated €25 million to the project, will be fully constructed by 2022. The government also supported the project, awarding College €15 million. Announcing the philanthropic funding in May, Provost Patrick Prendergast said that “the new institute will in time change how society solves the many challenges that the world faces. E3 is something new, and not just in Ireland but internationally”. The E3 Institute, Campbell said, “will create a novel learning space on the Trinity campus. It will provide a dynamic and stimulating educational hub for students to engage with each other, develop prototypes, share ideas, enjoy learning and have coffee”. The institute will function as a partnership between the Schools of Engineering, Natural Science, and Computer Science and Statistics, and has drawn praise for its multidisciplinary approach to learning.